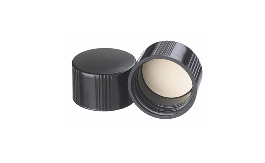 Black Phenolic Cap with Cemented in Rubber Liner for 33/430 Neck Bottles. Suitable for repeated autoclaving. Specially formulated phenolic cap material. White rubber liners. 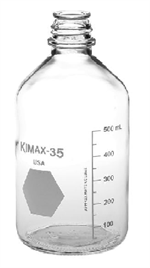 Excellent for general laboratory use. 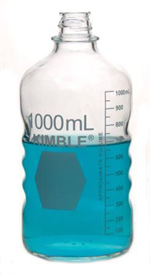 1,000 ml Incremented Glass Media Bottle 33 mm Neck. Autoclavable. ORDER CAPS SEPARATELY.